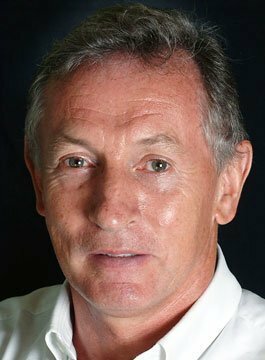 Steve Ridgway CBE is the former CEO of Virgin Atlantic. He held the position of CEO for 12 years between 2001 and 2013. During his time at the airline, he saw Virgin Atlantic grow from two 747s to a fleet of 40 long haul aircraft, flying six million passengers a year around the globe. Virgin Atlantic is recognized as one of the world’s most innovative airlines, having won numerous business, consumer and trade awards. Steve Ridgway joined Virgin Atlantic in 1989. In 1990 he was appointed as Managing Director of Virgin Freeway where he launched the UK’s first automated frequent flyer programme. In 1994 he was appointed as a board member taking the role of Executive Director of Customer Services, then in 1998 promoted to Managing Director and finally CEO in 2001. Ridgway is a recognised industry voice and has constantly challenged the Government to evaluate its stance on UK aviation and airports. He has fought hard to ensure Virgin Atlantic is the UK’s second largest long haul carrier, but more importantly – a brand that people all over the world admire. He successfully steered the airline through major global aviation issues including the tragic events of 9/11 and the volcanic ash cloud. He continued to lead and inspire during the difficult economic conditions and has left an impression on the airline due to his constant desire to invest and innovate throughout the business. Prior to working at Virgin Atlantic, Steve worked at two powerboat companies – The Toleman Group and Cougar Marine, who were commissioned to build the Virgin Challenger Powerboats, on which Steve became Chief Pilot, captaining the boats in the Blue Riband Challenge across the North Atlantic, breaking the transatlantic boat record with Sir Richard Branson.